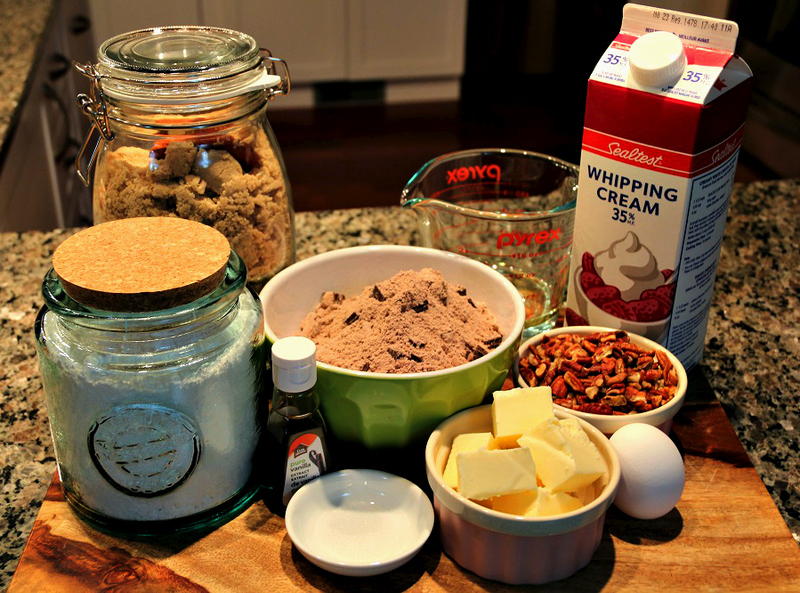 Make brownie mix according to box and let cool completely, then focus on your topping! Melt butter, add brown sugar and cream. Bring to a boil, stir while boiling for about a minute. After boiling mixture for a minute, immediately take off heat and add icing sugar and vanilla, whisk until your mixture starts to thicken. 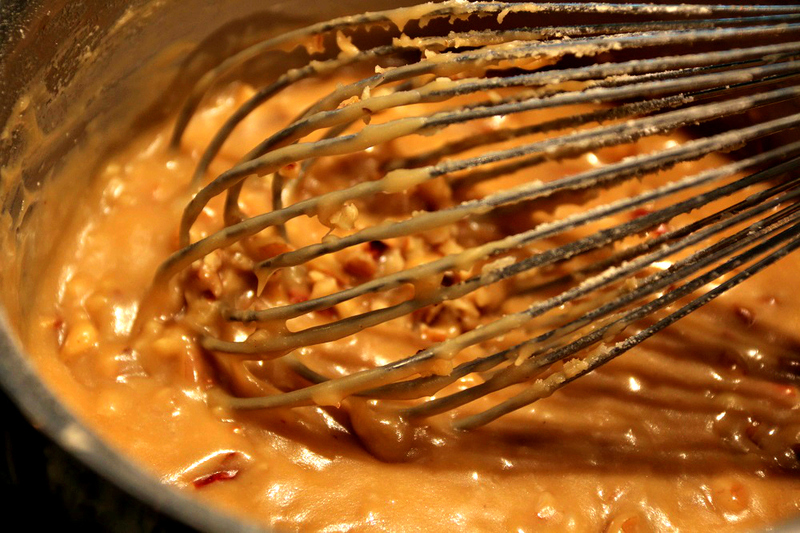 Then add your nuts about a few minutes after whisking. When you add your nuts you want topping to look like this constantly, let mixture cool but still able to spread, then add to top off your cooled brownie. 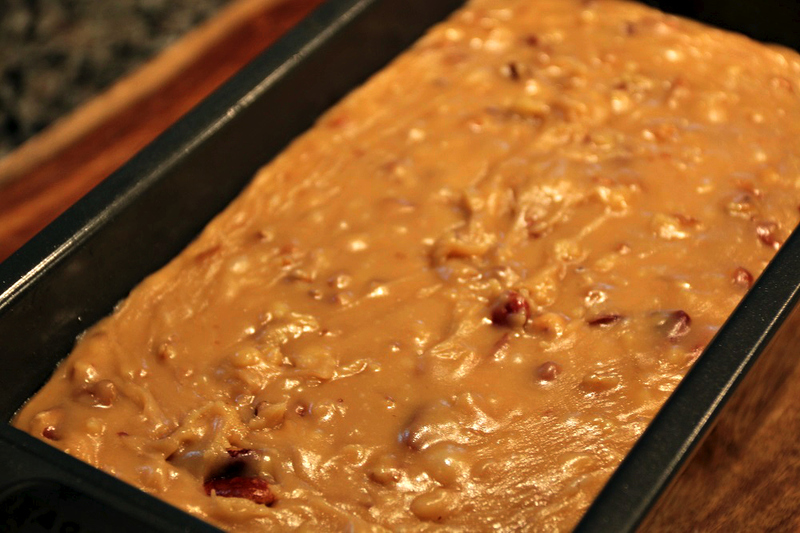 This is what it should look like when finished 🙂 Let sit in fridge for about an hour before cutting, so that the Praline topping will be set! 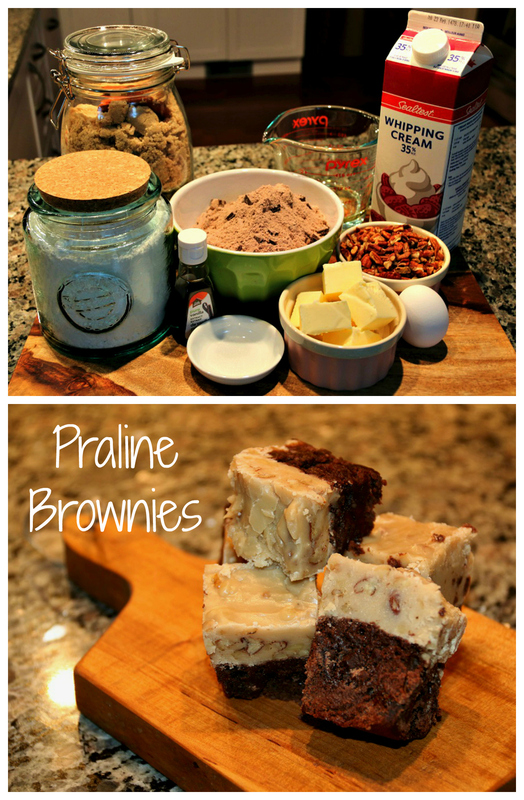 You want to bake your brownies according to packaged directions for best results. Then allow your brownies to cool on a cooling rack (still in original pan). 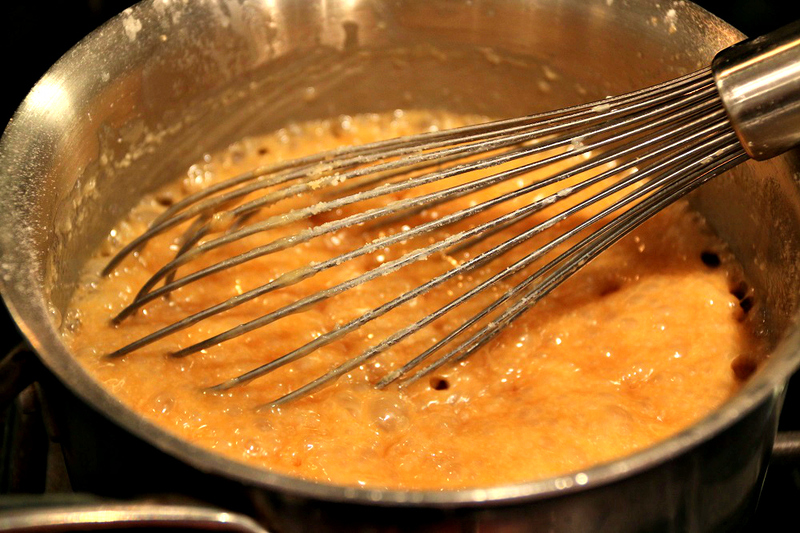 In a medium saucepan combine your butter, cream, brown sugar and salt over medium heat. Heat your mixture until it comes to a boil, stirring frequently. Once your mixture comes to a boil, allow it to continue cooking out for another minute and then remove from heat. Immediately add vanilla and sifted powdered sugar(icing sugar), (sifting your sugar is very important because it prevents clumping and uneven texture.) 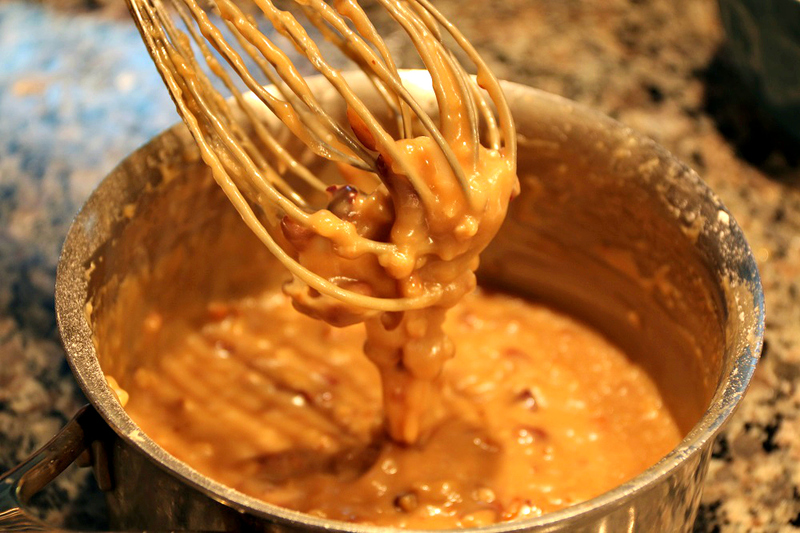 Stir your mixture until smooth, allow to cool for a minute before adding nuts. 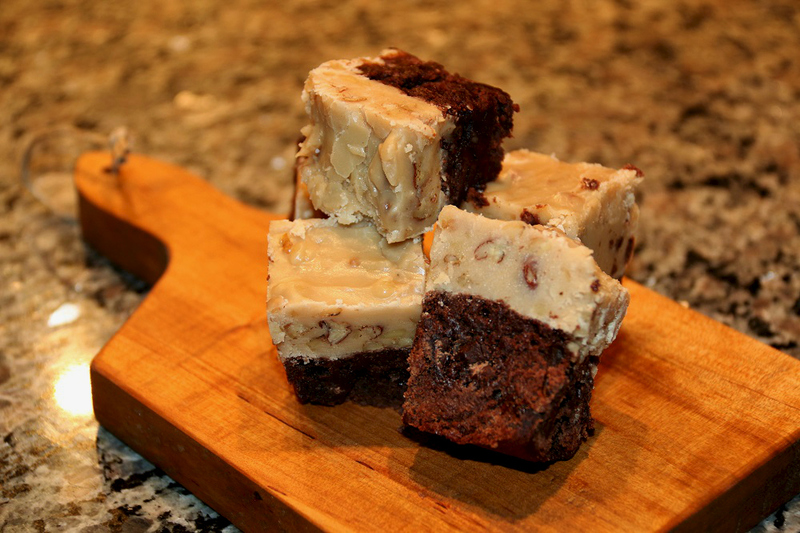 This entry was posted in Dessert, Recipes and tagged Brownies, Dessert, Praline, Praline Brownies. WOW sounds great. 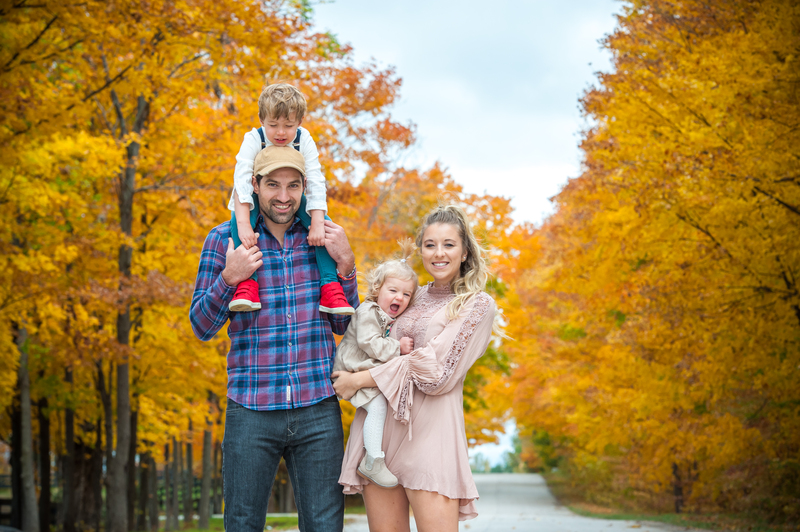 I think I’ll try them for Christmas too.